Players are attempting to score the most points by building up influence in the districts of Venice via their aristocrats. The game uses a card distribution mechanic whereby (in the case of a four-player game) two players draw cards and divide them up into two piles each, the other two players pick one group and the remaining groups go to the players who formed the groups. The action cards allow players to place and remove aristocrats, erect and move bridges, and score individual regions. 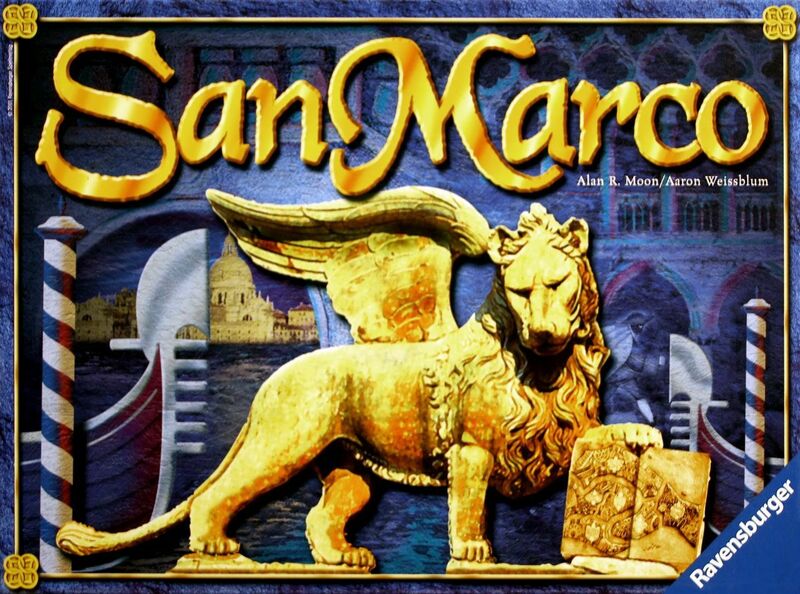 The entire game lasts three Passages and each Passage may contain several turns. 62 Action cards: 30 District (5 for each district) 6 Bridge 12 Transfer 10 Doge 4 Banishment 28 Limit cards: 8 X "1" 10 X "2" 10 X "3" Related game: Canal Grande is a two-player card game based on this game.